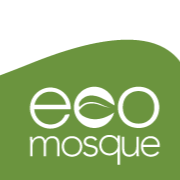 Welcome to Ecomosque | The 1st mosque to be built on a UK University campus. Ecomosque is a student-led initiative that aims to build the first mosque on a UK campus. Ecomosque is a unique and exciting project that will function as a Mosque, community hub and centre of educational excellence. We want it to be a place where the true essence of Islam will live and breathe, pushing back the darkness of ignorance. The University of Salford is a Greater Manchester University with world-class educational facilities. Its commitment to Ecomosque cements its reputation as a forward-thinking institution, leading the way for others. Ecomosque was designed by students of the University of Salford through a competition run the University of Salford’s School of the Built Environment. Designed with the highest precision and ecological standard by Hamera Farooq the winning student designer, the Ecomosque will be a landmark located on the Crescent in Salford, which is one of the most prestigious locations in the city. Ecomosque will therefore function as a gateway site into Greater Manchester’s higher education establishment and create a cultural quarter within the University of Salford’s campus. The Ecomosque enjoys the complete support of the USSU (University of Salford Students’ Union), and the University Council. Ecomosque is a once-in-a-lifetime project that will renew the faith’s commitment to the environment and leave a lasting legacy in both architecture and education for generations to come. The landmark Ecomosque design is aesthetically pleasing, flexible in use, ecological and it will be economic to run. It will be designed and built to the highest standards commensurate with its central location and the nature of the building.The Ecomosque design, and the design process used, will be ecological and the masjid will have high thermal mass adaptable to regulate its heat. Water is an essential part of the workings of any mosque. However, for Ecomosque this will be taken further due to its ecological imperative. Water must be harnessed naturally and reused wherever possible. The building will possess the spirit of water. Light plays a key role in any mosque. The Ecomosque design will be imbued with the essence of light and make use of its ability to dispel darkness all year round. A Courtyard space is essential for gatherings and gives sense of community and will be required in summer and winter. The landmark Ecomosque design is aesthetically pleasing, flexible in use, ecological and it will be economic to run. It will be designed and built to the highest standards commensurate with its central location and the nature of the building. Art and design has always been a massive part of my life, ever since I was young it was my way of expressing my thoughts, feelings and emotions, hence I devoted a lot of time and effort in creating work based on the inspiration around me. Earlier on in my life I enjoyed looking into eastern culture however it was Islamic culture that truly fascinated me. As the Muslim Chaplain on campus I am honoured to be working alongside such an amazing project that has the potential to meet the spiritual needs of students and yet which is open to all communities. I am pleased to support the proposed Eco Mosque in Salford. We are a University that is firmly rooted in its local community; our student and staff body representing the full spectrum of that community. We also welcome some 3,000 students from over 100 countries to our campus every year. We aim to give each and every one of our students the best experience that we can. So, I am especially pleased that the plans for an Eco Mosque have been developed and wish it well. We hope that the Mosque will be a popular and much-used resource for our community of Muslim staff, students, and indeed locally-based alumni. Our key aim is to build the Ecomosque within the next ten years. We want everyone to embrace saving the planet irrespective of faith and background. Our planet belongs to all of us and we have only one. Encouraging and supporting the development of faith eco leadership. We recognise we cannot achieve our aims without a global partnership. Ecomosque is a unique and exciting project, that will function as a Mosque, community hub and centre of educational excellence, where the true essence of Islam will live and breathe, pushing back the darkness of ignorance. It is the first Masjid in the UK that will be built on a UK University campus. We need your support in all aspects of developing the Ecomosque project and in running it eventually, God willing! Please contact us now and see where we can work together. All Day We shall be sharing our latest news on campus. All Day We shall be welcoming new volunteers. Keep up-to-date with news about Ecomosque.